California Air Board Boasts Its GHG Standards Save More Fuel than DOT’s Fuel Economy Standards — But Denies GHG Standards Are Fuel Economy Standards. Huh? The California Air Resources Board (CARB) boasts that its greenhouse gas (GHG) emission standards save more fuel than the National Highway Traffic Safety Administration’s (NHTSA) Corporate Average Fuel Economy (CAFE) standards – but denies that GHG standards are fuel economy standards. Huh? Well, of course, CARB denies it, because the Energy Policy Conservation Act (EPCA) prohibits states from adopting laws or regulations “related to” fuel economy. But CARB has to trumpet the fuel savings from its GHG standards to attack H.R. 910, the Energy Tax Prevention Act. H.R. 910, says CARB, would make America more dependent on foreign oil by prohibiting CARB and EPA from adopting tougher GHG standards. H.R. 910 opponents talk as if policymaking were a game in which the regulatory option with the biggest fuel savings wins. By that criterion, why not just let EPA and CARB impose a de facto 100 mpg CAFE standard and declare America to be “energy independent”? If Congress thinks NHTSA’s standards don’t go far enough, there is a simple fix. Pass a law! What H.R. 910 opponents want is for EPA and CARB to legislate in lieu of Congress. That is neither lawful nor constitutional. EPA, NHTSA, and CARB claim that EPA’s GHG standards for model year (MY) 2012-2016 passenger cars and NHTSA’s CAFE standards for those same vehicles are “harmonized and consistent.” Yet they also contend that NHTSA’s standards de-coupled from EPA’s standards would result in 25% more oil consumption over the lifetimes of those vehicles. How is that possible? H.R. 910 would stop EPA from ‘legislating’ climate policy under the guise of implementing the Clean Air Act (CAA), a statute enacted in 1970, years before global warming was a gleam in Al Gore’s eye. H.R. 910 would overturn all of EPA’s GHG rules except for the agency’s current GHG standards for MY 2012-2016 passenger cars and the agency’s proposed GHG standards for MY 2014-2018 heavy trucks. However, H.R. 910 would preclude EPA from setting new, tougher GHG motor vehicle standards in later years. Similarly, it would prohibit EPA from granting waivers to CARB to set tougher standards. But that means, opponents argue, that H.R. 910 would have the effect of making America more dependent on foreign oil. Are the opponents correct? And even if so, is that a valid reason for allowing CARB to determine the stringency of national fuel economy regulation or for allowing EPA to dictate climate policy? As noted, H.R. 910 would not repeal EPA’s MY 2012-2016 GHG emission standards (a.k.a. Tailpipe Rule) nor EPA’s proposed GHG standards for MY 2014-2018 medium- and heavy-duty trucks (a.k.a. Heavy Truck Rule). It’s not that the bill’s sponsors — Rep. Upton and Sen. James Inhofe (R-Okla.) — have any great fondness for those rules. Nor is it the case that Congress would have adopted those standards anyway via legislation. H.R. 910 would leave EPA’s current and proposed GHG motor vehicle standards in place because automakers and engine manufacturers have already made plans and investments to comply with them. But that just means EPA is using the regulatory process to preempt congressional deliberation and narrow Congress’s policy options. Congress must act soon before stationary sources (power plants, steel mills, pulp and paper factories, refineries, cement production facilities) also spend big bucks complying with GHG-related “best available control technology” (BACT) standards and New Source Performance Standards (NSPS). A common argument by opponents of H.R. 910 is that, even though it would leave intact NHTSA’s Energy Policy Conservation Act (EPCA) authority to establish Coporate Average Fuel Economy (CAFE) standards for new motor vehicles, NHTSA-only regulation would do less than joint EPA-NHTSA regulation to reduce U.S. oil consumption. Typically, opponents cite CARB’s estimate that stripping EPA’s portion out of the Tailpipe Rule would reduce fuel savings by 25% over the lifetimes of MY 2012-2016 vehicles. CARB is by no means a disinterested bystander. EPA’s GHG standards are none other than the GHG standards CARB developed and EPA approved (in May 2009) via a waiver from federal preemption of state emission standards. Here’s the puzzle for which Upton sought clarification. EPA, NHTSA, and CARB claim that EPA and NHTSA’s portions of the Tailpipe Rule are “harmonized and consistent.” Yet the agencies also contend that NHTSA’s portion of the Tailpipe Rule would reduce oil consumption by 58.6 billion barrels over the lifetimes of MY 2012-2016 vehicles whereas the complete rule including CARB/EPA’s GHG standards would reduce oil consumption by 77.7 billion barrels. How can this be? That the National Program [NHTSA + EPA] achieves greater emissions reductions and fuel savings than the CAFE standards alone is a result of the different underlying statutory authority that results in different program components. The four key differences are: 1) unlike the Energy Policy Conservation Act (EPCA), the CAA allows for the crediting of direct emission reductions and indirect fuel economy benefits from improved air conditioners, allowing for greater compliance flexibility and lower costs; 2) EPCA allows Flexible Fuel Vehicle (FFV) credits through model year 2019, whereas the EPA standard requires demonstration of actual use of a low carbon fuel after model year 2015; 3) EPCA allows for the payment of fines in lieu of compliance but the CAA does not; and 4) treatment of intra firm trading of compliance credits between cars and light trucks categories. Difference 1) doesn’t get us anywhere near the additional 19.1 billion gallons in projected fuel savings. According to the Tailpipe Rule, (i) carbon dioxide (CO2) emissions related to air conditioner-related loads on automobile engines account for only 3.9% of total passenger car GHG emissions (p. 25427), and (ii) various technologies could reduce air conditioner CO2 emissions by 10% to 30% (p. 24528). Even a 30% reduction of the 3.9% of motor vehicle emissions associated with air conditioner engine load would reduce oil consumption by only 1.1% — nowhere near the additional 25% fuel savings that supposedly depend on EPA’s GHG standards. Differences 2) and 3) are likely the big factors. Per difference 2), automakers cannot comply with EPA’s GHG standards by manufacturing flexible-fueled vehicles. And per difference 3), automakers cannot pay fines in lieu of compliance with EPA’s GHG standards. Why do those differences have the effect of tighening fuel economy standards? Because EPA’s GHG emission standards are basically fuel economy regulation by another name! As EPA acknowledges, 94-95% of motor vehicle GHG emissions are carbon dioxide from motor fuel combustion. And as both EPA and NHTSA acknowledge, “there is a single pool of technologies for addressing these twin problems [climate change, oil dependence], i.e., those that reduce fuel consumption and thereby reduce CO2 emissions as well” (Tailpipe Rule, p. 25327). Because of differences 2) and 3), EPA will always be able to make NHTSA’s fuel economy standards more stringent than they would be if administered under the statutory scheme Congress created. What this means, of course, is that the Tailpipe Rule is “harmonized and consistent” only in the sense that EPA and CARB are now calling the shots. The consistency and harmony is that of the first mate saying “aye aye, sir” to the captain. That should trouble a Congress jealous of its constitutional prerogatives, because Congress delegated the power to prescribe fuel economy standards to NHTSA, not EPA — and certainly not CARB. EPA’s authority to set motor vehicle emission standards, and to grant CARB waivers to regulate motor vehicle emissions, comes from the CAA. The CAA confers no authority on any agency to regulate fuel economy. EPCA authorizes EPA to monitor automakers’ compliance with CAFE standards, but it delegates to NHTSA only the authority to prescribe CAFE standards. 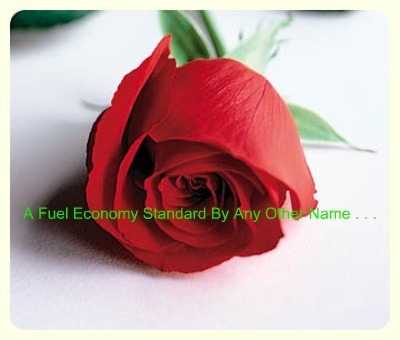 Moreover, EPCA prohibits states from adopting laws or regulations that are even “related to” fuel economy standards. CARB’s GHG standards are massively “related to” fuel economy standards. a) General. – When an average fuel economy standard prescribed under this chapter is in effect, a State or a political subdivision of a State may not adopt or enforce a law or regulation related to fuel economy standards or average fuel economy standards for automobiles covered by an average fuel economy standard under this chapter. CARB has never claimed that there is no relation between the pollution [CO2] emitted by burning fossil fuels and the rate at which they are burned [gallons of fuel consumed per distance traveled, i.e. fuel economy]. CARB merely maintains the fact that pollution control and fuel economy are not identical — fuel economy and pollution control regulations have different policy objectives, utilize different incentive and flexibility features, and there are technologies that reduce pollution that are not counted under fuel economy measures, and some fuel economy improvements do not reduce emissions commensurately. That doesn’t cut it. Let me count the ways. A GHG standard does not have to be “identical” to a fuel economy standard to be “related to” it. CARB is hardly one to maintain that fuel economy and GHG standards “have different policy objectives” when CARB’s big selling point for GHG regulation is that it saves more fuel than CAFE standards do! The fact that CARB/EPA’s GHG standards utilitize “different incentives and flexibility features” is irrelevant. Neither GHG regulation nor fuel economy regulation is defined by those features and incentives. The CAFE program, for example, would still be a fuel economy program even if it did not allow for payments of fines in lieu of compliance or award credits for flex-fuel vehicle sales. Just because some technologies — e.g., improved sealants for automobile air conditioning systems — “are not counted under fuel economy measures” does not mean that the Tailpipe Rule does not chiefly regulate fuel economy. Only 5.1% of motor vehicle GHG emissions are due to leakage of air conditioner refrigerants (Tailpipe Rule, p. 25424), which means CO2 from motor fuel combustion makes up 94.9% of all motor vehicle GHG emissions. To repeat, there is a “single pool of technologies . . . that reduce fuel consumption and thereby reduce CO2 emissions as well.” Almost 95% of EPA and CARB’s GHG reductions come from fuel economy enhancements. Because 5.1% of motor vehicle GHGs are leaked air conditioner refrigerants, “some fuel economy improvements do not reduce emissions commensurately.” But fuel economy improvements do reduce emissions commensurately for 94.9% of all motor vehicle GHG emissions. EPA Greenhouse Gas/NHTSA Fuel Economy Standards: ‘Harmonized and Consistent’?